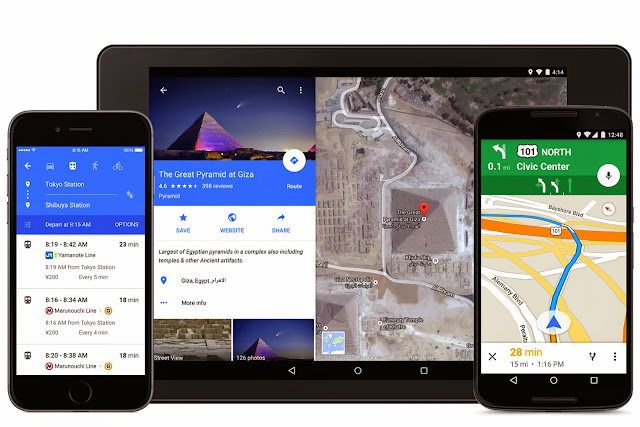 Google has announced in a blog post that Google Maps app for iOS will get a new look. The new version will have a blue interface with drop shadows, redesigned buttons and more. The new look is based on Google's new Material Design. The updated app rolls out “over the next few days”. Personally I'm not sure I like that Google adding Androids material design on their iOS Apps. I would like that they followed Apples guidelines when designing apps for iOS instead.